This Wii has had a great run, but surely Nintendo's console is primed for replacement? Nintendo of America's top guy, Reggie Fils-Aime, told Kotaku today that a successor to the Wii doesn't have to come out in 2011. Of course he'd say that, right? He's got Christmas 2010 coming and he wants the world to keep on buying Wiis, even if they're not buying them in the ridiculous amounts they used to. "After we've reached an installed base of 45 million here in the U.S., we can have a conversation about the next generation." Reggie says Wii sales peaked in the system's third full year and he proudly states that there are more than 30 million Wiis out there in America. He's got a chart — he showed it at a business conference in New York yesterday — that shows the Wii is still selling faster than the the PlayStation 2, the juggernaut of the last generation of gaming consoles, did in the same amount of time. 23% faster, he says. Wii was and is a monster hit, no doubt about it. Nintendo was right this generation despite so many people thinking they were wrong. But when a system's sales slow, that's a good time for gamers to expect the sequel. DS sales began to drag in Japan in the last year or so and, what do you know, we've got the very cool 3DS around the corner. I asked Reggie the question this morning during an interview at the hotel he's using this week in Manhattan: "Wii 2 is not a must for next holiday?" Again, of course he'd say that. He's not going to reveal the next Nintendo console during a Friday morning chat. But it sure seems like a Wii 2, or whatever you would want to call it, could nestle in nicely as the hot gaming machine of Christmas 2011 (other than that PSP2 we hear may be coming out in the fall, of course, and that Nintendo 3DS that's coming to America in March). 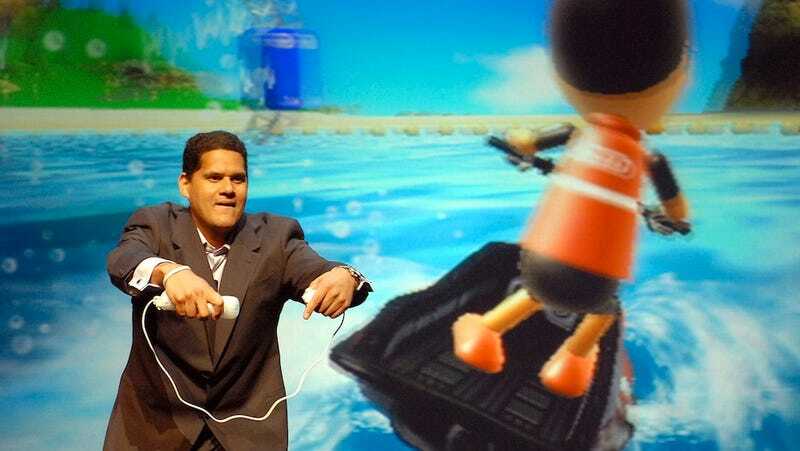 Reggie, however, just doesn't believe it's time to talk about this kind of thing yet, probably because he'd like people to be thinking of buying a new red Wii or Donkey Kong Country Returns, Nintendo's big things for this fall. "As we sit here today we're saying the Wii has many, many more units to sell," he said today. "After we've reached an installed base of 45 million here in the U.S., we can have a conversation about the next generation. "